Storm is about to appear on screen in her second live-action adaptation in next month’s X-Men: Apocalypse, but how much do you really know about this X-Men mainstay? 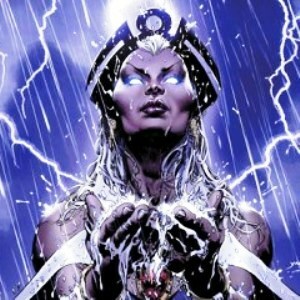 We’ve seen her on screen since the beginning, when Halle Berry brought her to life back in 2000, but it looks like we are going to get a very different version of Ororo in this new X-Men universe. Mohawked and aligned with Apocalypse, Alexandra Shipp’s Storm is a younger, tougher, and potentially more interesting version of the classic comic character. In honor of this latest adaptation, we’re bringing you 10 Things You Need to Know About Storm. In some ways, this seems like a less useful power than many others in the mutant world, but Storm can do a lot more than create tiny rain clouds, Eeyore style. 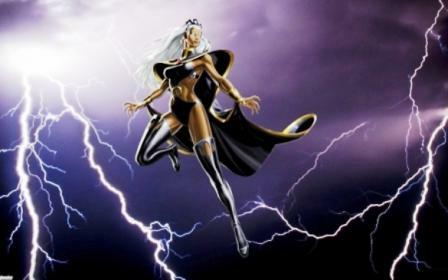 Storm’s abilities cover all of the elements and everything connected to the forces that govern weather on this planet. She has power over the Earth’s magnetic field, the ozone layer, patterns of wind, ocean, clouds and atmosphere. She can affect tiny areas (small enough to water a potted plant), the entire planet, or channel these forces through her hands to project weather as a beam. Her ability to control wind and air allows her to fly, and she can direct lightning strikes against her enemies. Her powers also adapt to the environments she finds herself in – she can control the atmospheres in other worlds, on other planets, and even in space!